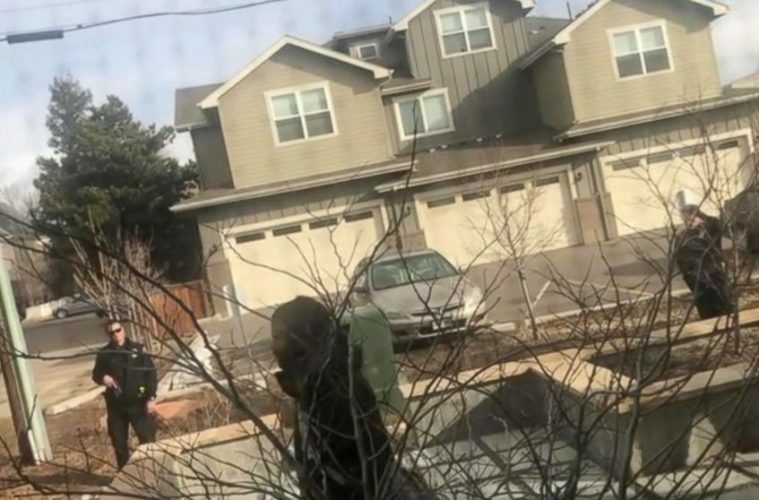 A police officer in Colorado is under investigation for drawing his gun on a Black man who was just cleaning trash from his yard. Cell phone footage captured white police officers surrounding an unidentified Black man March 2. His neighbor decided to start filming after the cops began to draw their guns and demand the man obey their instructions despite the fact he had informed them that he was merely picking up trash on his property. The 16-minute altercation was posted to Youtube. “You’re on my property with a gun in your hand, threatening to shoot me because I’m picking up trash,” the man shouted. In the video, the man has in his possession a bucket and a metal trash grabber, a tool used to pick up garbage. However, the officer, holding a gun in his right hand, referred to the tools as a weapon and ordered the man to put it down. “I don’t have a weapon,” the man yelled. He began to scream and curse at the officer, demanding he leave his property. 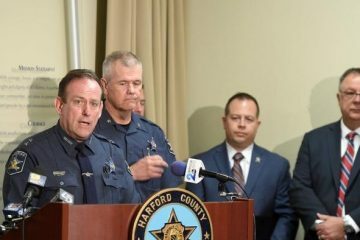 Soon, more officers with guns arrive. The man put down his trash bucket and grabber, obliging with requests to sit down. It was then determined that he had a legal right to be on the property. As news of the incident went viral, many showed the Boulder City Council Meeting Tuesday night holding metal trash grabbers and demanding accountability. The Boulder, Colorado, Police Department is now formally investigating. 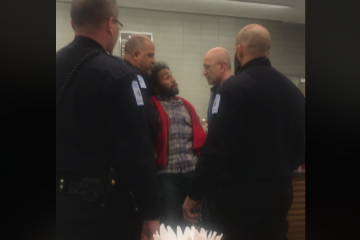 The officer in question has been placed on administrative leave. “This is an extremely concerning issue, and one that we are taking very seriously,” Boulder Police Chief Greg Testa told the city council.